General comment/s: Recommended for all skin types, acts as an anti-inflammatory agent, reducing redness and swelling. 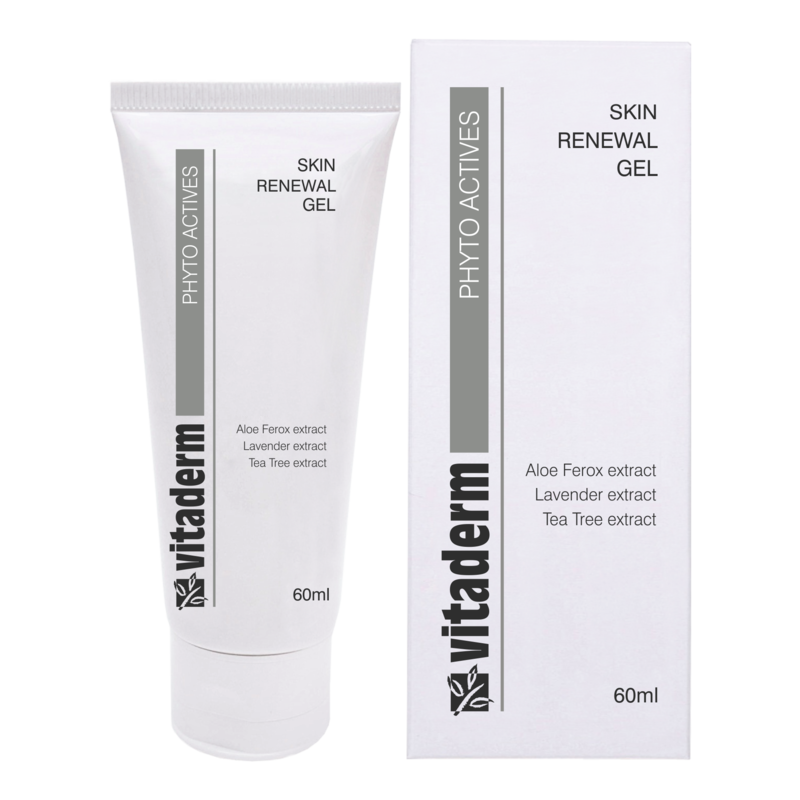 A hypo-allergenic gel that is ideal to sooth sensitive/dehydrated and sensitive/oily skin. It speeds up healing/skin renewal in compromised skin. Ideal for use on acne-prone skin or on rashes and sunburn. The skin is left feeling soothed and calmed. As a mask after exfoliation; apply liberally and leave to act for 10-15 minutes, remove with tepid water. Apply the appropriate Vitaderm Complex. For acne, sunburned and compromised skin; Apply a thin layer at night to effected areas. Leave on overnight.